This stew is fab! Especially if you sprinkle the feta cheese and mint on top before you eat it. I'm sure it would be even better if you added the wine, but since I don't drink, I don't have wines sitting around my house to add to cooking. This time I did the stovetop bits and then transferred everything to the crockpot for the day. I would suggest doubling it because we chowed and finished it all between the two of us! Sprinkle lamb with salt and pepper. Heat a large non-stick skillet on medium high until hot. Add lamb in two batches, cooking until browned, stirring frequently. After each batch, add 1/4 c of broth to skillet to deglaze. Transfer lamb and liquid to a heavy medium pot. Now add oil to skillet and heat til hot. Add onion and celery and cook until tender, stirring occassionally. Add garlic and cood for 30 seconds. Add wine. Bring to a boil, deglazing pan. Transfer onion mixture to lamb pot along with rest of ingredients. Bring to a boil over medium heat. In a small bowl whisk together flour and 1 T of broth. Whisk into stew to thicken. Reduce heat to medium and simmer for 20 minutes or until lamb is tender. Serve with crumbled feta and chopped mint on top of bowls. Back in 1994, Mary Tyndall won the Pillsbury Bakeoff with her recipe for Fudgy Bonbons. Since then, they have become one of the most popular of all the Bakeoff recipes. They are easy and good, if not all that good for you. I pull these out for my holiday cookies every once in a while. Because I had ignored cookie baking to the last few days before Christmas, I figured I needed to focus on easier cookies. This being one. 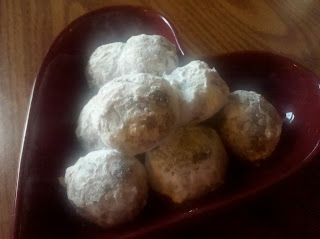 The ones above were rolled in powdered sugar. I was surprised when I couldn't find almond bark in the store last night to decorate with swirls like I wanted. Heat oven to 350°F. In medium saucepan, combine chocolate chips and butter; cook and stir over very low heat until chips are melted and smooth. Add sweetened condensed milk; mix well. In medium bowl, combine flour, nuts, chocolate mixture and vanilla; mix well. Shape 1 tablespoon dough (use measuring spoon) around each milk chocolate, covering completely. Place 1 inch apart on ungreased cookie sheets. Bake at 350°F. for 6 to 8 minutes. DO NOT OVERBAKE. Cookies will be soft and appear shiny but will become firm as they cool. Remove from cookie sheets; cool. In small saucepan, combine white baking bar and shortening; cook and stir over low heat until melted and smooth. Drizzle over cookies. Store in tightly covered container. HIGH ALTITUDE - Above 3,500 feet: Increase flour to 2 1/4 cups. Bake as directed above. As you see to the left, my blog has been sponsored by Red Lobster this year. I am thankful for them helping me to go to the International Food Bloggers Conference last August and hope that we can continue to work together through 2011. I'm obligated to disclose this due to FCC rules. But just because they sponsor my blog doesn't necessarily mean that they tell me what to write. Luckily, I am happy to share positive comments about them because they do their job well in the first place. Take a recent visit, for example. I decided to go to the Howe Avenue Red Lobster for dinner and took a seat at the bar. I have no problem going out to eat or going to a movie alone. Sometimes the solitude is nice and sometimes you just want to use your discounts by yourself. Katrina was the bartender and she was very cheerful and quickly asked what she could get me to drink. I asked for a raspberry lemonade and the menu. 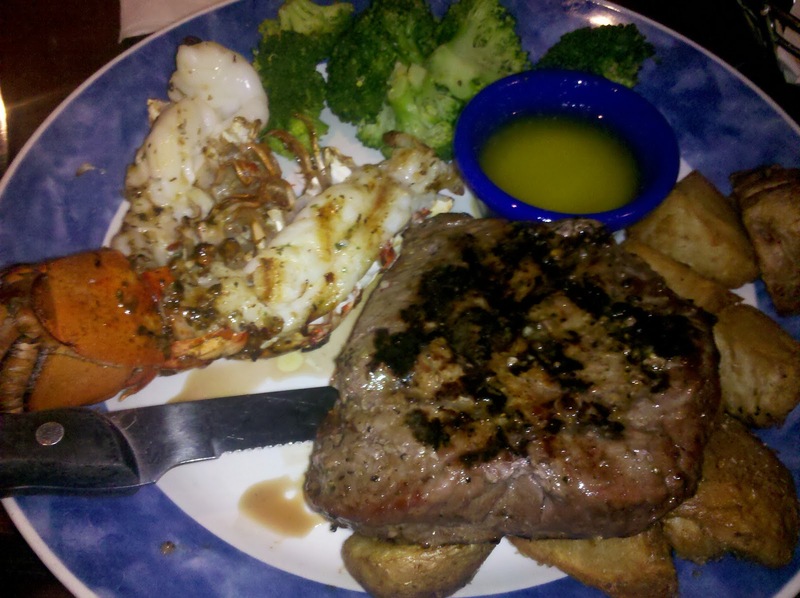 Currently RL is doing their Surf & Turf with choice of steak with shrimp, crab legs, or lobster tail. I opted for the lobster and asked for my steak medium rare. I received a salad and the cheddar biscuits first. The salad was simple iceberg lettuce with a couple of slices of tomatoes, cucumbers, and croutons. I liked that they automatically served the dressing on the side. I would suggest they slice the cucumbers thinner as they came as big thick slabs that I had to cut up. My entree came out with a petite lobster tail, steak, roasted potatoes, and broccoli. My dad would have loved the potatoes because they were beautifully crispy. The steak was a big disappointment though. Instead of medium rare it came out medium well. I'm not one for sending stuff back unless it is really bad, so I was eating it anyway. I had started with the lobster, which was wonderful. I was not paying too much attention to the steak after that - I just ate it. Halfway through, Katrina asked me how my meal was and I told her my steak was overcooked. She said she could get me another steak if I wanted. I told her it was pretty pointless because I had already eaten half of this one anyway. We left it at that. A few minutes she returned and said she had talked to her manager about what had happened. She handed me a coupon for a free appetizer or dessert and apologized about the bad steak. This was unexpected, but appreciated. I smiled, thanked her and then told her I had planned on dessert. 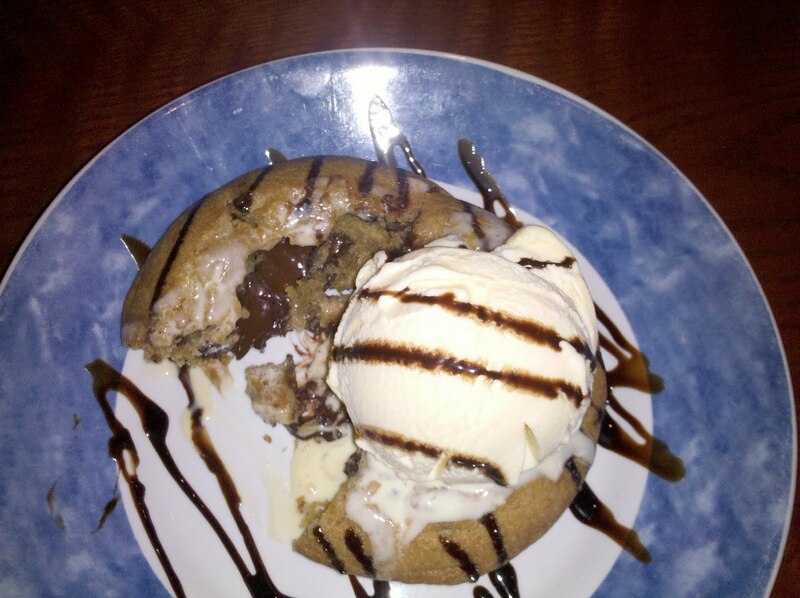 I ordered the lava chocolate chip cookie (see last review). When the dessert came out I thanked Katrina for paying attention to my welfare, explaining to her that I was a blogger sponsored by RL and that I was going to be writing on my dinner. She had done everything right by taking responsibility for the meal and seeking to make me, the customer, happy. She had also been a friendly and attentive server. She was thrilled since she said the bar staff never get as much appreciation as the dining room servers. I was impressed by the service she provided and the steps taken to ensure my satisfaction with my meal. Such great service only makes me feel that much better of working with such a great restaurant chain. It turns out they have again added some new menu items, so I'll need to go back again soon. They are inspired by the flavors of America, and they are all under $20. The new items include: Maple-Glazed Salmon and Shrimp, Pecan-Crusted Jumbo Shrimp, Cedar Plank Salmon, Parmesan-Crusted Tilapia, New England Lobster Rolls, and Shrimp Flatbread and Grilled Shrimp Salad. ﻿SacramentoMarko asked me to review the new True Grit since I saw it last week at a preview showing. Because it doesn't open until Wednesday and I've still got a headstart, I figured, "why not?" If you've missed the trailers on TV, this remake stars Jeff Bridges as Rooster Cogburn, Matt Damon in the Glen Campbell role of the Texas Ranger, and Hailee Steinfeld in the Kim Darby role. Steinfeld is a newbie for me, I haven't seen her in anything before this. She does an excellent job, though, in being the feisty 14 year old out to avenge her father's murder. James Brolin also makes a brief appearance as the killer, Chaney. Both Bridges and Steinfeld have been nominated by the Screen Actors Guild for their fine performances. This film is written and directed by the Coen brothers. I happen to love their movies and this one is no exception. My favorite part of it (and all their movies, actually) is the dialogue. They are so gifted with words and in this film they are using words and phrasing like they would have during that period. In some cases it takes a bit to make the mental translation to today's terms. I'll be shocked if they don't get nominated for an Oscar for screenwriting. I was only unhappy with the casting of Damon. I didn't think he fit the Ranger part very well and so his character was unbelievable to me. The set design is very well done giving you a true impression of how such a pioneer town would have been. This carries through to the costumes and details of the characters as well. I won't be specific, but outlaw Ned Pepper (played by Barry Pepper coincidentally) really makes you aware of how filthy folks lived back then. I had taken my friend to see the preview because he is a lover of Westerns. Last night he told me he rewatched the original version with John Wayne and said that they are both good in their own rights and can defy comparisons. He also shared a couple more facts. The Coen version is truer to the book. Both versions try to use the old language, but the Coen version is much more ambitious and successful at it. Bridges and Wayne wear the eye patch on opposite eyes. Apparently Wayne chose the left eye as an homage for director John Ford. Considering the competition for your holiday movie dollar, I would say you have a safe bet with True Grit. It has everything going for it: great story, acting, dialogue, and scenery. This is actually Plan B - take two. The original restaurant was in the south area and then a couple of years ago they moved to Watt and Fair Oaks. It is tucked in the back of the complex so it took me a while to figure out where it was. Upon entering I saw some other friends already there for dinner and I had a quick chat before the boys arrived. (I noted that they each had the mussels and pomme frites for dinner, an inexpensive yet satisfying meal.) The place is painted in black with a couple of walls laid with white rock bricks. Just the right amount of darkness and contrast to give it a classy atmosphere. Plan B is known to have the best mussels in town. It turned out to be well deserved. They have six different preparations for them such as a Thai version and one with just white wine, garlic, and parsley. We chose to share the Epice - which is their spiciest version with tomato, garlic, pastis, and piments oiseaux. Piments oiseaux is a small, hot pepper that added quite a kick. The sauce was so hearty and flavorful. It looked like 20 ingredients carefully cooked down to this glorious blend of spicy goodness. There was no way to leave any sauce in the bowl after the mussels were gone. Luckily the staff just kept bringing us more and more sliced baguette to sop it up with. Jason ordered the rack of lamb with mint oil. Rod is from New Zealand, the land of lamb. According to the boys, they have never had a better lamb in the U.S. than this one from Plan B. It was cooked on the rare side and very tender, which keeps the best flavor from cooking out. Jason was happy as can be with a big grin. Rod's ribeye steak was huge. It looked like it had a nice layer of spices, but I didn't try it. I ordered the duck breast with the balsamic honey sauce. It was served with a parsnip mash and pencil thin asparagus. The sauce was both sweet and tangy with enough for me to coat each bite. There were a few slices of cooked apple on top for that fruity accent that always works so well with duck. Thoroughly enjoyable. The others weren't in the mood for dessert, but I ordered their version of lava cake and was told it would take 15 minutes. We had time. I didn't take a picture, but it was cooked just enough to create the cooked cake sides and yet leave a large oozy center of chocolate bliss. It was served with a flavored ice cream (I forget what, but it wasn't vanilla). All in all, a beautiful meal treated by good friends. I can see why they love the place and I look forward to going back. The six styles of mussels is enough to entice me back to try each. We come across those recipes or food items that seem to be hot and trendy. I believe, though, that bacon is not a trend, it is a way of life for many people. Pork happens to be my favorite meat, and so I can't argue with any bacon lovers. Candied bacon is also not necessarily a trend, but it's an item that seems to be cropping up more and more in recipes and on food shows. 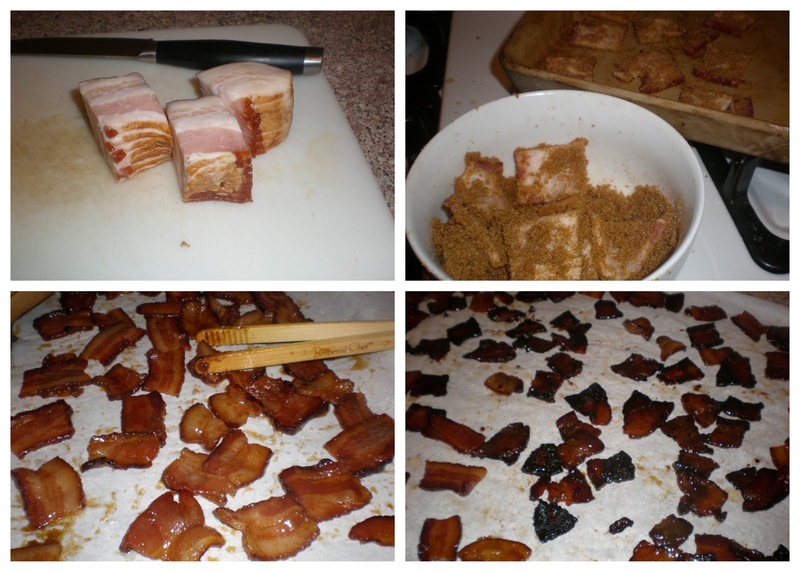 Essentially candied bacon is simply bacon that has been caramelized in brown sugar. Yes, I have been on a "bacon as candy" kick of late. See my posts on bacon peanut brittle and bacon turtles. I decided that candied bacon sounded darn easy and worth spending an hour on over the weekend. Unfortunately it took more time than that because I wasn't happy with my first results. All you really need is a cup of brown sugar with which you coat the bacon. You can add some pepper if you like and so I added a teaspoon of cayenne pepper. Since I knew I was going to dip these in chocolate, I cut the bacon into inch long pieces. I coated them with the mixture and laid them out on my stoneware baking pan. (I chose to use my Pampered Chef stoneware because it is easier to clean the expected greasy, sticky mess than a metal pan is.) In recipes I found on FoodNetwork.com, they say to line a baking pan with foil or parchment paper. You bake in a 350 degree oven for about 20 minutes. I checked mine and found the pan full of greasy, sticky goo and the bacon partially cooked - like chewy bacon. I wanted it to be more crispy, so I left it in there for longer. It didn't help. So then I took it out cleaned out the mess with paper towels, and then put the bacon back on and into the oven again. Still wasn't getting the results that I wanted or had expected. It was OK, but not great. I finished that batch up but decided I needed to try a different method, one that I saw on a different site. This time I lined my pan with a couple layers of paper towels and then put a wire rack over it. I put the bacon across the wires without any seasoning yet. I wanted most of the grease to be cooked out of it first. I baked these for 20 minutes and then took them out, dipped them in the sugar mixture, and then laid them out on the wire rack again. After 10 more minutes in the oven I took them out and brushed them with more sugar and returned them to the oven. Another 10 minutes and then I flipped them, brushed them, and back in the oven. After about an hour I had more of what I was looking for. Success. You can watch a video of a similar process done by my friend, John of Foodwishes.com. 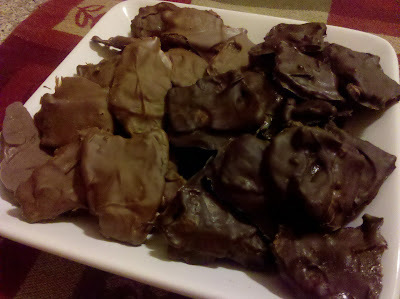 The final step is just to melt chocolate, dip the bacon in it to coat, and then let the pieces cool on parchment paper. Chocolate covered candy bacon! Preheat oven to 350 degrees. Mix together the brown sugar and cayenne pepper. Line a baking sheet with a couple layers of paper towels. Place a wire rack on top. Drape the bacon across the rack in a single layer. Bake for 20 minutes. Remove from the oven and dip each bacon into the sugar mixture and make sure to get all surfaces coated. Replace on the wire rack. Bake for another 5-10 minutes. Brush some sugar mixture on top of the bacon, return to the oven for another 5-10 minutes. Remove, flip bacon over, coat with more sugar and then bake for a final 10 minutes. Remove sheet from oven and let bacon fully cool. Reposting since I think this is a good recipe for the holidays. We all know how flavors get trendy. Pomegranate is the current example. One that is also a popular trend right now is sticky toffee pudding. An English classic, it has been seen more and more in the U.S. and, in 2006, was the winning new flavor for Haagan Daz's ice cream. I had been wanting to try it, both tasting and baking it. 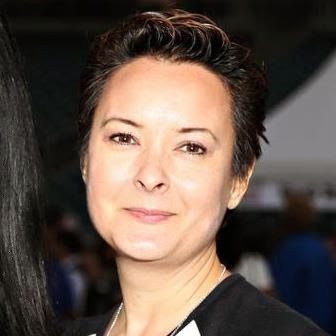 When hearing, reading, or seeing about it on the Food Network I was under the impression that it is a super moist and decadent dessert. 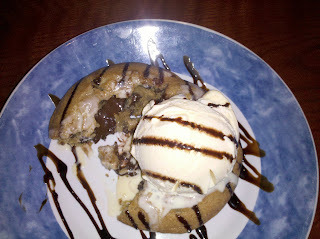 So when I had it at Mulvaney's (see review) I was disappointed even though I had nothing to compare it with. But this disappointment pushed me to make it myself. I found several recipes on the internet and ended up mixing elements from a few to make my version. I recommend one site, Visual Recipes. In the end I found my version to hit the high expectations I had of this dessert. Mine is super moist. Interestingly, I don't like dates. But dates are a main ingredient in this recipe. They help to add the moisture. I hope you enjoy it. I sure did. Preheat oven to 350 degrees. Grease a springform pan and set aside. Put the chopped dates, cinnamon sticks and water into a high-sided saucepan and bring to a boil. Let simmer while you prep the rest of the ingredients. In a mixing bowl, use a hand blender to cream together the sugar and butter. Add the eggs and flour and blend until smooth. By now the dates should be nicely softened and the water thickened. Remove the cinnamon sticks. Add the baking powder and be aware that it is going to foam up. Mix together and then pour the whole date mixture into the batter. Blend them together well. Pour batter into springform pan. Bake for about 30 mins or until a cake tester (or toothpick) comes out clean. Poke holes into the cake using a skewer. Take 1/2 c of toffee sauce and pour over cake so it will soak into the holes. Cut and serve warm with additional toffee sauce on top. In a saucepan, melt together the butter and sugar. Stir continuously. When the sugar is dissolved, add cream. Continue stirring as you bring mixture to a boil and then lower to simmer. Keep stirring until the sauce has thickened. Pour warm sauce over cake before serving. 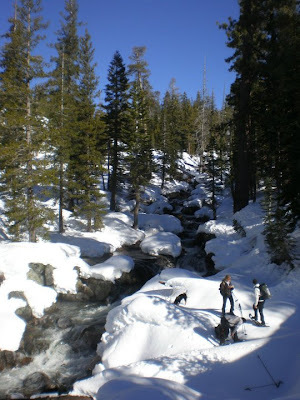 I had snowshoeing on my to-do list for this winter. I've pretty much given up on skiing because I'm a tightwad and skiing is just too expensive for the cost-to-enjoyment ratio for me. 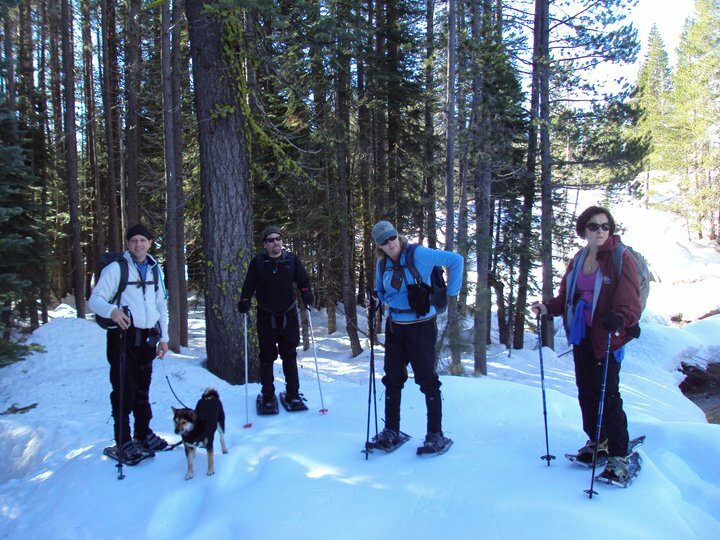 Snowshoeing, on the other hand, just requires an initial investment in the snowshoes and then you can trek across any State parkland you want! I considered going to REI. They rent out the shoes and poles for $15 a day if you are a member (and who isn't?). They offer an intro class for $70 which includes the equipment and then an adventure trying them out somewhere up the hill. My ex-husband, though, scoffed at that idea. 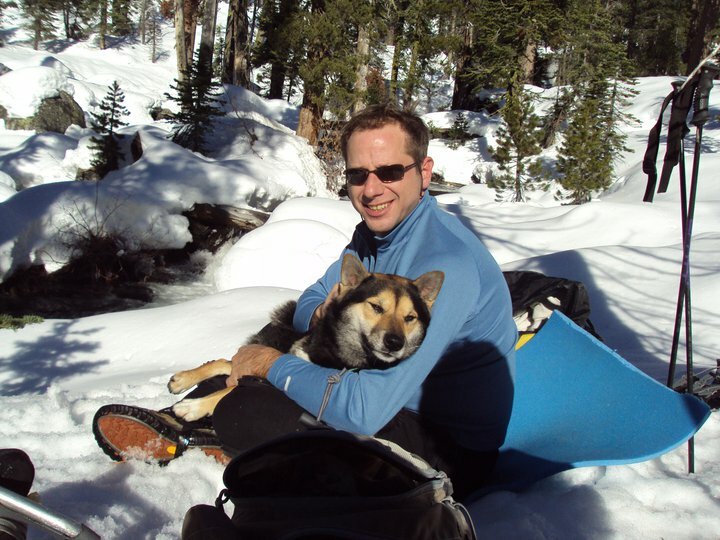 He snowshoes and is a leader in the Sacramento Hiking Group on Meetup. He told me to go rent the equipment and then join him on Sunday. He had a group already planning on going and I could go with them for my initiation. Then the words: "Don't worry. It'll be mostly flat and a good beginner trek for you." Liar! But more on that later. I arrived at his house at 7:30 and dumped all my gear into the back of his pickup. Then we were off to meet the others at the Park n Ride at 8. We had a group of nine. I was the only virgin. It was on the drive up, around Colfax, that I realized, "Crud! I left my hiking boots in my trunk!" Luckily I had snow boots with me, which did work out. Thank goodness they were waterproof. 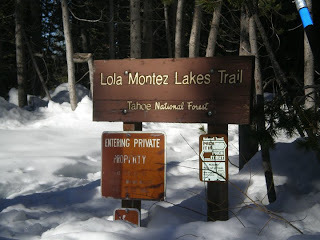 We arrived at the Lola Montez Lakes Trail off the Soda Springs exit. The group had hiked this trail last January but hadn't been able to find the lake. They hoped to find it this time. Thomas helped me strap the shoes on and had me walk around on the road. "You're now an intermediate!" he proclaimed. Off we went. We didn't trek too far before we hit a rushing creek with no way across. 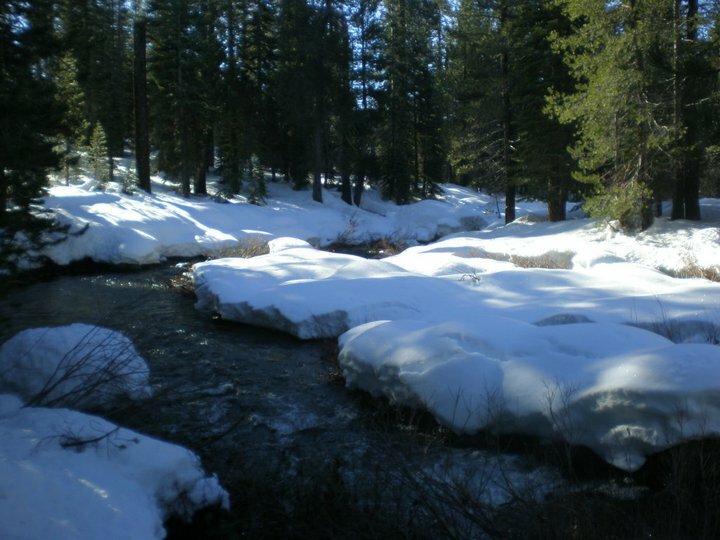 Last winter there had been a snow bridge. We could not find a way to cross this time, so we followed it upstream in hopes of finding a crossing. There were several logs that crossed that I wanted no part of. 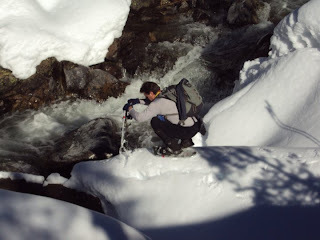 Trying to cross an icy log with snowshoes on? No thanks! Thomas was determined though and started playing around with this one and guess what? He dropped his snowshoe in the river! Luckily it got lodged and after several minutes Deon retrieved it. And so our plan changed. Maybe we'll just try to climb the peak instead. What was that comment about it all being flat? Does this next picture look flat? You want me to climb that?!? I followed the group about halfway up and then had to stop. I was wearing the wrong footwear with no ankle support and my foot was sliding around and twisting in my boot. The steep climb was too much. 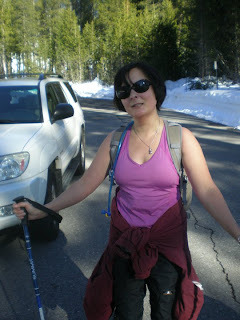 Add to that I suffer from migraines from extreme exertion and altitude and my head was pounding. Julie and I gave up on the climb and Deon took us back to the river to eat our lunches. His excuse? "I said flat, not level. It's flat at an angle." Yeah, right. All in all, it was a gorgeous, warm day with great company. Next time I just need to remember to bring the proper boots and my migraine drugs and I should be fine. 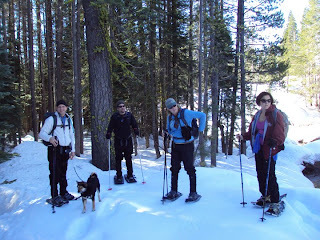 As for snowshoeing, give it a try. It's easy, cheap, and a good workout! Thanks to Emerleen and Julie for a couple of their pictures! I only learned to eat sushi about five years ago. Until then I had tried it once or twice and was unimpressed and a bit grossed out. This meant that when I was married, my husband got to use sushi as a reason for boys night out. Fine by me. I believe in spouses having time alone with their friends. 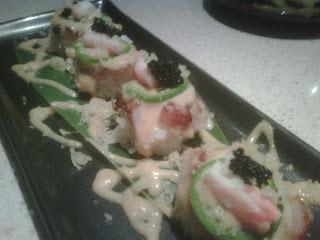 Then I was introduced to a fancy roll at the now closed Dragonfly. I liked it. 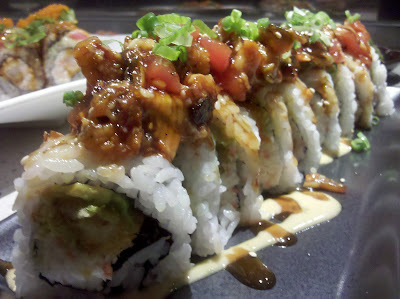 From there I learned that I like combo rolls for the complexity of textures, flavors, and ingredients. It's the traditional sushi and sashimi where it's just a slab of raw fish on a rice ball that I don't care for. The somewhat funny thing is that now it seems that when it's my birthday my ex and I go out for sushi, usually at Mikuni's. In fact, the last three years we have. I know because Mikuni's always does a birthday deal like spinning a prize wheel downtown or playing birthday blackjack at Taro's last night. So far I've 'won' a bottle of soy sauce, a baseball cap, and, last night, a free Arden Roll card for my next visit. Last night we went to Taro's where, I thought, my ex had been many times. He knows Taro well and he and his best friend often get the special Taro treatment when they go out. Turns out he had never been to Taro's and Taro usually is at Mikuni's and not his own namesake restaurant. Regardless, we decided to sit down at the sushi bar where we were greeted by Terry behind it and by Milo as our server. We sat down and chatted and Terry overheard our discussion of my birthday, we did not mention it to him, and he quickly wished me a happy birthday and teased me about turning 21. This attentiveness was appreciated. He quickly gave us edamame to nibble on and a plate of wasabi and ginger for later while Milo took our drink orders. We started with the Hokkaido Scallops - lightly pan seared on a rice ball with sweet scallop sauce, snow crab legs, jalapenos, green onions and black tobiko caviar. There was the sweetness from the scallops and sauce coupled with the spicy hit from the jalapeno. Very good. I chose two large rolls to share. The first was the Train Wreck shown at top. It had shrimp tempura, spicy avocado, crab mix, and topped with chopped unagi, sea steak, sesame seeds, and onions. It was a monstrous thing. I admit that I like to have either shrimp or soft shell crab in the middle because I like the dense cooked texture or 'bite'. It gives the roll substance. This roll was generously topped with the chopped unagi and sea steak and so there were bits that dropped off and were enjoyed on their own. 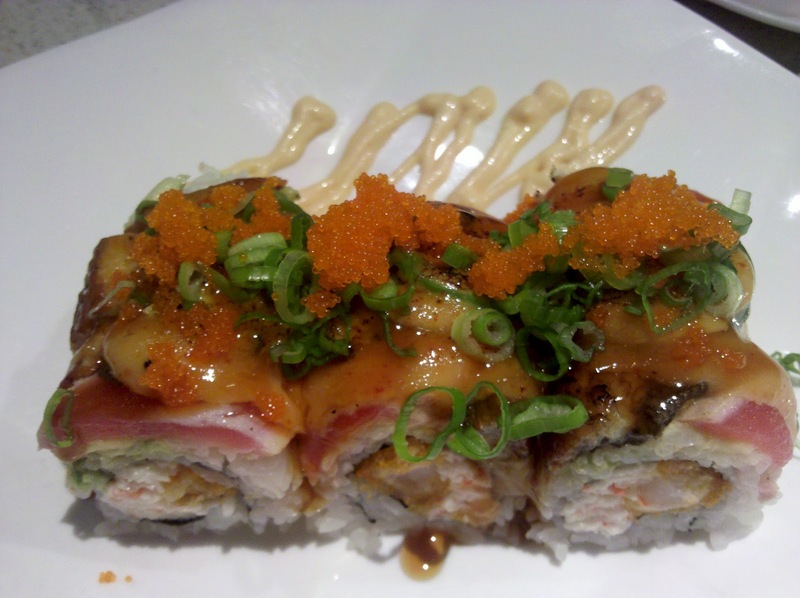 The other roll was the Benjamin and had shrimp tempura and crab salad inside and was topped with avocado, eel, sea steak, special sauce, torched, and then garnished with jalapeno, masago and onion. Although it had similar ingredients to the Train Wreck, it was a totally different flavor experience - lighter and with the spicy bit of jalapeno. By this time I was stuffed and couldn't even contemplate dessert. They brought out the deck of cards for my birthday blackjack. If you pull two aces you get a $100 gift certificate. I pulled a king, 2, and then a 7 for a total of 19. I decided to stay and take the sushi card because I wasn't interested in a shot glass or t-shirt if I went for it. Overall it was another nice birthday at a Mikuni restaurant. I guess it classifies as a tradition for me now. Today is my 46th birthday. Now many women wouldn't admit that, but I can say it with a bit of pride. You see, I happen to think the 40's have been my best decade and I highly recommend them. When you are in your 40s you have pretty much become the person you are. It's not set in stone, but it's hard to make changes to your personality. The saying, "You're set in your ways" comes to mind. You should hopefully be in good physical shape so that you can do whatever activities you would like to. You also hope that you are in decent financial circumstances so that you can afford to do what you want as long as you are reasonable with your money and savings. That sums up my life right now. I'm lucky to be able to count my blessings. I'm employed, own a home, am healthy, look younger than my age, have plenty of friends, and am kept busy with many activities including this blog. I also appreciate the time and country I live in. We've had a few smaller wars and are having a tough economic period right now, but compared to past centuries or decades, this is a good time be alive. Life isn't bad. My dad will turn 78 in January. He's in fairly good health and remarried this year to a 75 year old. With luck, he'll live to well into his 90s like his mother. My grandma had hoped to reach 100 so she could get a birthday card from the Queen (British). She made it to 98.5. We were talking about physical versus mental age. I think of myself mentally as being in my 30s. Dad says that works even at his age. He might be 77 but probably still mentally thinks and pictures his inner self as in his 40s. Unfortunately the body doesn't agree. He certainly can't be lifting things like he did in his 40s. He's also got a back condition and due for back surgery in the next couple of weeks. I must admit it does give me pause to think I'm approaching the big 50. We all laughed when I told my father I was dating a 51 year old. OMG! To be dating someone over 50! That's the one area I worry about - finding a partner as I get older. I guess I can take comfort that dad did - even in his late 70s. So as I start another year I can take satisfaction that my life has been blessed in many ways and hope that it continues to be for many more to come. I’ve gotten pretty darn comfortable at Cafeteria 15L. It took me long enough. I had procrastinated going for some time. There are so many other places to try. Besides, I had often sampled some of their food at special events. I was comfortable in the knowledge that they weren’t going anywhere and would have better staying power than other new restaurants in a bad economy. Then they did the Groupon deal and I snagged a couple. Good incentive to finally stop by. So far I’ve gone twice and I plan on returning. They’ve definitely made a good impression on me. Cafeteria 15L’s focus is comfort food. Food that reminds one of a good Sunday dinner with family. That includes the traditional items like meatloaf, mac n cheese, ribs, and fried chicken. The website says they make the dishes with a twist. What matters is that they make them good! I also must point out a great feature for me - the mocktails. As a non-drinker, I am thrilled when a place takes the time to offer some refreshing and different non-alcoholic beverages. The first visit I had a lovely drink of muddled berries and basil finished with carbonated lemon/lime. The second time it was the Fruit Punch which was muddled berries with mint, if I remember. Anyway, both were bright and fun and such a nice alternative for me. The first visit was with my girlfriend. I wasn’t really feeling up to a full dinner, so I went with a small plate. My friend went for a three course meal and let me share. First up, the mac n cheese. I had had this several times before at special events. They use a Orecchiette shaped pasta, like little clam shells. These perform the function of holding the cheese sauce in their little scoops. The sauce is creamy and cheesy. We only wished it had a bit more salt. I ordered the Spicy Tuna Ahi Poke. I've been into eating ahi tartare lately and this was such a presentation. The raw ahi is chopped and mixed with chopped avocado, and a citrus dressing. They then fill a ring to create an attractive and rather generous mound of the mixture. It is served with housemade potato chips. I always like this dish because it is light, refreshing, and healthy. And I was impressed with how much they gave me. A good deal at $11.95, I thought. My friend had the grilled pork chop. It comes with maple glazed sweet potatoes, greens, and an apple cranberry chutney. She swapped for garlic mashed potatoes. We were happily surprised by a hearty, thick cut chop. It wasn't small, by any means. It was flavorful and tender. I took several bites with the wilted greens and chutney and loved the mixture of the sweetness of the chutney with the bitter of the greens. The maple sweet potatoes would have sent it to a 10 I'm sure. But the mashed potatoes were good too, not glooey or too stiff. For dessert we decided to share the Trio of Ice Cream Sandwiches. Unfortunately, we were disappointed in them. The cookies were simple, thin chocolate wafer cookies. Nothing special. This week I braved the rain and went by myself and ate at the bar. The bartender, Grant, was very nice and approved of all my choices. I went for the Braised Beef Shortrib. He said that was his personal favorite. And why not? Who doesn't love a well braised piece of meat? I was not disappointed. Out came a mound of garlic mashed potatoes with the sauteed greens on top, and then a lovely piece of tender beef topped with wild mushrooms. Around the plate was a generous ladleful of the braising liquid. The beef was so tender that there was no need for a knife. It just flaked apart easily. It was one of those dishes that when you put a forkful of everything in your mouth it all just melts together perfectly and you are left with a sheepish grin of pleasure on your face. Yes, it was that good. 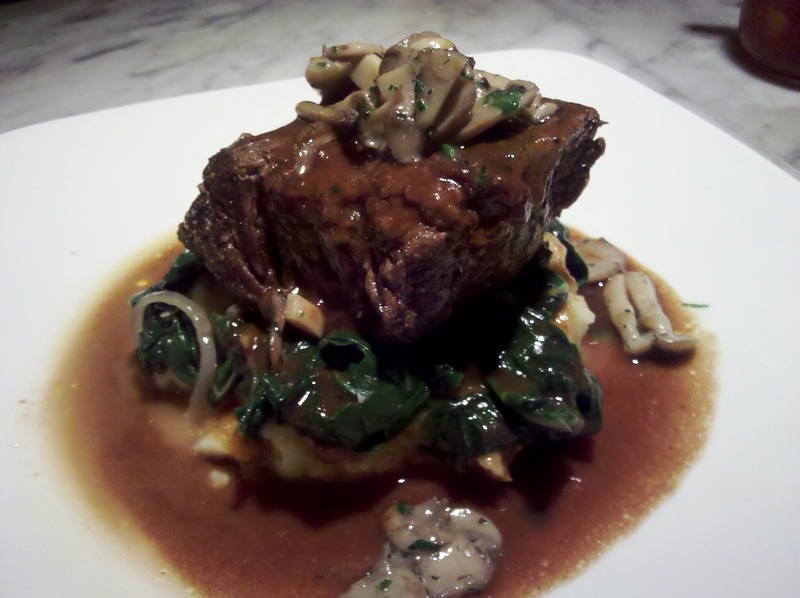 I plan on making shortribs at home in the next couple of weeks and can only hope that they come out this fabulous. 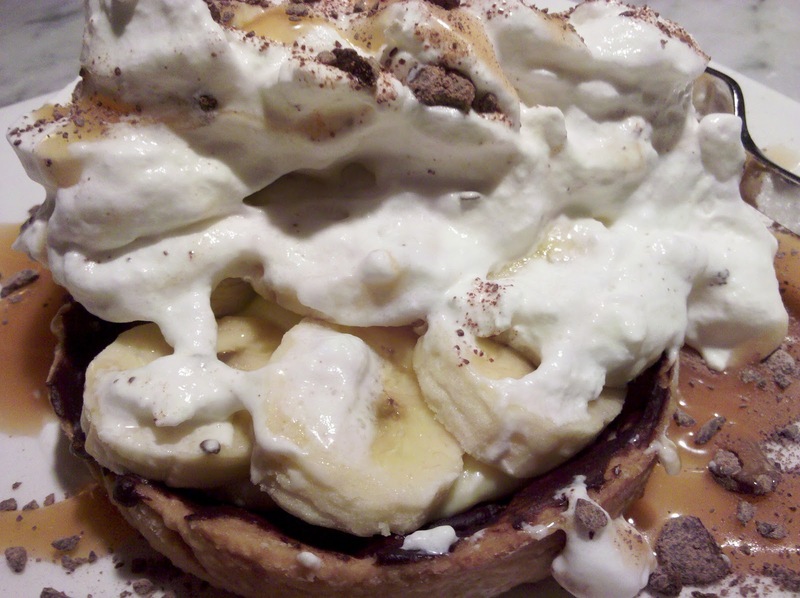 Because I was on my own I got to pick what I wanted for dessert - the banana cream pie. I'm a sucker for any creamy dessert and appreciate a well done banana cream pie. When it first was presented to me I was a little taken aback. Silly me thinking a slice of pie when these days restaurants do individual mini pies. I was also shocked by this giant mound of whipped cream. After scraping it back I found a thin pastry shell coated with chocolate and then a small layer of banana pastry cream and fresh banana slices. 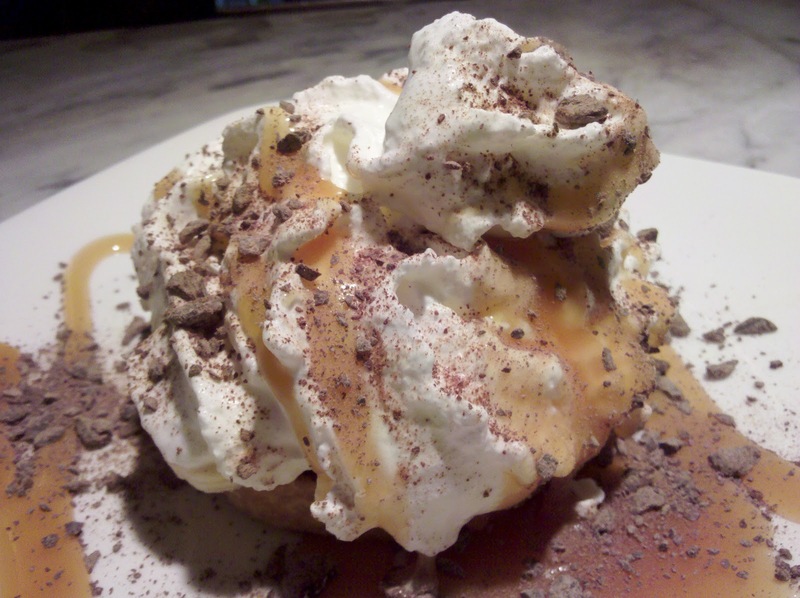 The mound of whipped cream had been sprinkled with chopped, toasted almonds and chopped chocolate and there was a swirl of homemade caramel sauce all over. To start with, I was feeling a bit of disappointment. Lots of whipped cream but the pie part itself seemed a little lacking. By the end, though, I was singing a different tune. The crust was crisp without being tough. The bananas to banana pudding ratio turned out to be well balanced. The whipped cream was so full of air that it quickly deflated so as not to be an overwhelming component. And it wasn't too sweet. Often pies can be. Instead, the chef let the sweetness be accented by the caramel sauce. I knew the desserts were made in house and asked about the pastry chef. Turns out they don't have one, the head chef makes the desserts as well. Nice to see that in this case the chef has the skills to perform in the pastry department as well. I must end with a comment about the excellent service. On both visits I had warm and friendly servers. The staff worked well together, helped each other out, and conveyed a sense of warm and comfort befitting the theme of the restaurant. On Thanksgiving I shared about my mother's letters from the 1960's. 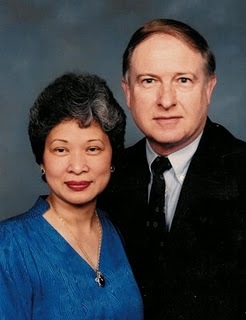 I had always known that my parents had a swift engagement and the letters just emphasized it. Before I handed them over to my brother and nephew (since they are carrying down the family line, not me) I read a few more and here are a few more fun tidbits in the chronology. 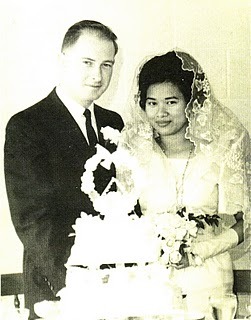 June 20, 1963 They met. See the above mentioned post. July 14 "Peter (dad) is not sure yet that he loves me although I feel that in time he will. He keeps asking me to pray for him as he wants to have the honor of marrying me. Peter keeps talking of the things we will do when we’re married that I’m afraid he’s hooked although he doesn’t know it." July 23 "Well the vacation did it. Peter realized that he was in love with me and decided to propose upon my return. Of course, he planned to do it on a moonlit night under the stars but I goofed up his plans this noon. He came for lunch and we were sitting. I looked so sad and he asked me why. I told him I was afraid he might leave me. So he proposed there and then. He couldn’t stand to see me unhappy." Aug. 6 Letter from dad to Lolo asking for permission to marry mom. See other post. They were married October 20th. Lolo did fly over from the Philippines to give mom away. Mom tells her father that at this point dad's income is $725 a month.That's $8,700 a year. That calculates to $62,182 a year now. Not bad, dad. Good catch, mom. They went to Alcapulco for their honeymoon, which was quite the destination back in the 60's. These days Alcapulco is considered one of the more dangerous Mexican cities. In a letter of November 18, after they are married, they are shocked by prices for breakfast at a hotel. $1.75 for pancakes, $.70 for oatmeal and $.30 for orange juice. That pancake price today would be $12.50. Yeah, I guess that's pretty expensive just for pancakes. It's no wonder I love the show Mad Men to see what life was like back then. This post is written on behalf of all party hosts - including you. Yes, I will be voicing my own personal frustrations of late. But these frustrations are shared by you and every other host out there and I felt that something had to be said. At the same time, I am guilty of being a bad guest on occasion myself. What am I irritated about? RSVPs. The simple act of responding to an invitation with a 'yes' or a 'no' on attendance and then following through. I've sold Pampered Chef for over 13 years. In my early years I was gung-ho with hosting an average of three parties a week. I had to coach the hosts to have the best party possible and part of it was getting them to be realistic about RSVPs in the modern age. I told them to invite as many people as possible and to expect a third of them to show up. That means if you invite 30 people, you'll be lucky if 10 show up. How discouraging is that!? In this case, though, we were talking about a shopping party. How about an actual social party? We are entering holiday party season. There will be plenty of social parties. How will people handle RSVPs? How will the host feel? Put your host hat on now. You clean your house. You shop and spend money on the necessary items you need. You decorate your house. In many cases you might cook or bake. Finally, you set everything out and await your guests. As hosts we put out a lot of time, money, and effort. 4 people immediately said they could not come. 1 person first said yes, and then a few days later changed to a no. 1 person said yes enthusiastically and then didn't show - forgot. 1 couple said yes and I was certain they would show and they didn't. 1 was a maybe and didn't show. 1 was a yes and then an hour before the party emailed they weren't coming. 1 couple was invited, I never heard from them all week, then the day of the party I get a text saying they couldn't come. 3 people never responded at all. 2 people who said yes actually did show up. 2 people who I never heard from surprised me by showing up. So I had 5 people. As a host, this is really frustrating. I said up front that I'm guilty myself. The day before I was supposed to go to an open house selling party. I had a migraine, took my meds, and by the time the headache was gone I realized I had totally forgotten the open house. I had to send an email apology. I felt terrible even though I had a pretty legitimate reason. We are now officially into holiday party season. In some cases we have multiple parties on the same day/night. Please be realistic, honest and do your host a favor - RSVP and then honor your RSVP by showing up if you said you would. Not only will your host thank you, but you'll be happy when people show you the same respect when you host your next party. In Silverton, Oregon there is a Wright house that is open to the public. The Gordon House is located at the Oregon Gardens after having been saved and moved there in 2001. Originally finished in 1964 in Wilsonville, it was in danger of demolition when the property was sold in 2000. After a hurried rush of fundraising by preservationists, the house was disassembled and moved to Silverton. The house is one of Wright’s last structures. He designed the house for the Gordons in 1957 and died shortly after signing over the final design to them. It is considered an example of Usonian architecture. Concrete slab floors versus raised foundations. They included piping for hot water to create heated floors. Open floor plans and great rooms – a huge influence seen in today’s modern homes. Based on building units, whether squares, hexagons, or other shapes. In the Gordon House the unit is 7 foot squares. You can see them gridded in the concrete floor and everything else is built off the units. Carports were a Wright innovation as a cheaper alternative to enclosed garages. Again, a cost saving measure. Lots of built-in cabinets and closets, means less need for storage furniture. Use of horizontal lines to enlarge spaces (more on this later). Wright was also famous for wanting to integrate nature into his structures, whether in the building materials or in the placement and structure of the house. The Gordon House’s original location had it situated so that the Willamette River ran close and around it and the eastern side had spectacular view of Mt. Hood. There are tall French doors that open outward to encourage you to go outside. The placement of the upstairs windows make you a part of the tree canopy when you are lying in bed or sitting in the bathtub looking out. There are even windows so that you get a beautiful view from the toilet. Material-wise, the house uses a lot stained wood and concrete. The wood fretwork windows were intended to be a cheaper decorative window style versus the stained glass windows used in many of his Prairie style designs. Wright used architecture to influence human behavior as well. 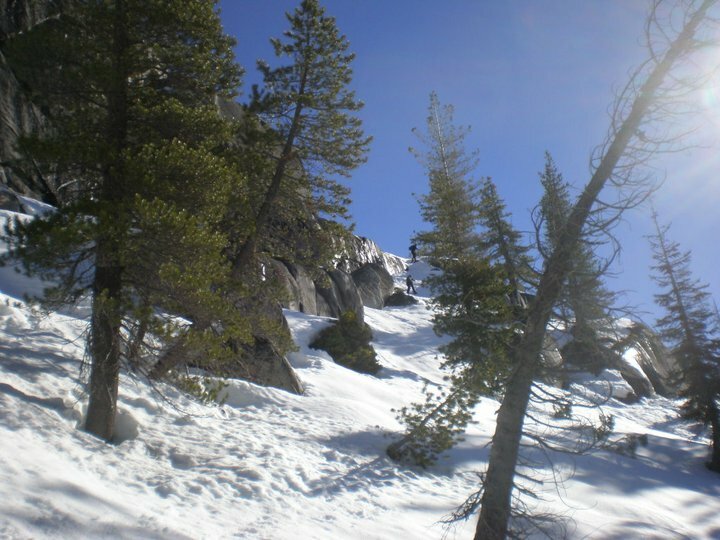 He wanted people to go out and experience nature and to socialize with others. He did this by using a method called ‘compression’. Apparently any entrance way in a Wright house is made in such a way as to force the person to decide to go out or come in and not dawdle in the foyer. In this example, the roof is low at only 6’6” and the space is narrow. It forces you to want to continue into the open great room which is 1.5 stories tall with floor to ceiling windows. In the same way, the bedrooms are kept small and a bit claustrophobic so as to make a person want to get out and join everyone outside. The same is true for the kitchen, or, as Wright called it, the ‘work space’. Although small in square footage, there is plenty of storage and counter space to make it easy to work in. Again, he wanted people out in the great room versus in the kitchen or bedrooms. His designs were very exact and did use a lot of horizontal lines to create a sense of width and space. For instance, the concrete blocks were put in place and the masons were told to fill the vertical lines so that your eyes only saw the horizontal grout lines. Everything is exactly placed to continue the horizontal line. You could follow the concrete grout line over and see that it would perfectly line up with the horizontal wood paneling line, then continue on to the horizontal edge of the fretwork, then to the shelving, and even to the placement of the hardware on the cabinetry. This continuous horizontal line forces your eye to keep moving along it to create the sense of space. I really enjoyed the tour and learned a lot about Wright's style and influence. I look forward to any chances in the future to see some of his other houses that are open to the public. We were given the options of how we filled the crust. I decided to go with a pistachio frangipane and cranberries. The green and red are perfect for the holiday season. The only change I would make would be to add a lot more cranberries or fruit. This would be really good with apricots or tart apples as well. I first got interested in frangipane because there is often a pistachio frangipane tart with raspberries served at the Tower Cafe. Frangipane can be made with other nuts as well, like almonds or hazelnuts. Note: Superfine sugar is often also referred to as ultrafine, baker’s sugar or caster sugar. It’s available in most supermarkets. If you cannot find “superfine” sugar, you can make your own by putting some regular granulated sugar in a food processor or blender and letting it run until the sugar is finely ground. Empty food processor's bowl onto your work surface. Process 1/2 cup pistachios, 1/4 cup sugar, orange peel, and baking powder in processor until nuts are finely ground, scraping down sides occasionally. Add butter and egg; process until blended. If the dough is very firm, start by pressing the dough with the rolling pin from the middle to each end, moving the rolling pin by a pin's width each time; turn the dough 180 degrees and repeat; when it softens, start rolling. Place in the refrigerator for 30 minutes to rechill. After it has chilled, remove the crust and fill it with the frangipane. Top it with fruit of choice. Pistachio works well with tart fruits like apricots, tart apples, and cranberries. Bake in the oven for 40 minutes. You want to be able to pull a toothpick out clean. When done, remove the tart from the oven and let cool. If you have used a tart pan with a removable bottom, then release the tart base from the fluted tart ring. Make sure the tart is completely cool before slicing and serving. Top with a bit of whipped cream or creme fraiche.